Sears Holdings Corp (NASDAQ:SHLD) is suing a Craftsman tools vendor to keep orders at current levels. The lawsuit from Sears Holdings Corp is against One World Technologies, which is a subsidiary of Techtronic Industries Co. Ltd. (ADR) (OTCMKTS:TTNDY). It comes after the tools vendor claimed it would file its own lawsuit in an effort to change its agreement with SHLD. The retailer is seeking to keep the company from changing the deal. Sears Holdings Corp says that One World Technologies is attempting to reduce its sales of Craftsman tools and get a better contract out of the company. It claims that this is happening due to negative coverage concerning SHLD’s financial state. However, the company argues that it has made payments for goods and will continue to do so. The Craftsman tool brand currently belongs to Stanley Black & Decker, Inc. (NYSE:SWK). Sears Holdings Corp sold it to the company in early 2017 for $900 million. The deal allows it to sell the tools without paying royalties for 15 years. One World Technologies isn’t the only vendor that makes the tools for SHLD, but it has filled $868 million worth of orders for them since 2007, reports Chicago Tribune. 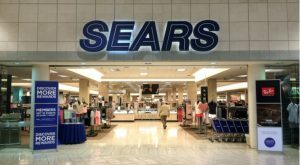 Sears Holdings Corp’s lawsuit against One World Technologies was filed on Monday after a threat from company CEO Eddie Lampert. Lampert penned a blog post explaining why SHLD was planning to file the lawsuit and saying that it won’t be taken advantage of by vendors. “We have lived up to our word under our contract, and we will take the appropriate legal action to protect our rights and ensure that One World honors their contract,” Lapert said in the blog post. Article printed from InvestorPlace Media, https://investorplace.com/2017/05/sears-holdings-corp-one-world-technologies-craftsman-shld/.